Join us on Friday, October 17th for a day of shopping, light bites, bubbly and giveaways. Check out the latest styles from Sporty Mommas and Cocoa Couture Boutique. 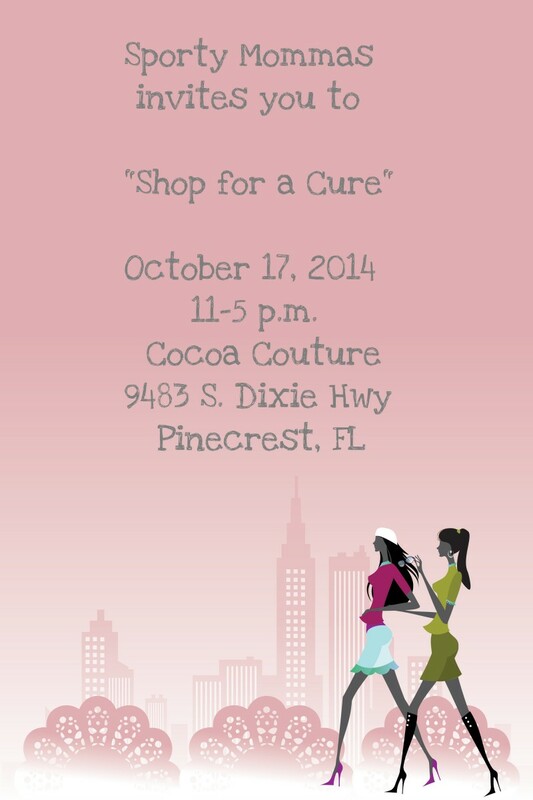 10% of all sales will be donated to breast cancer research. Be YOU, Be GREAT, Be FABULOUS!